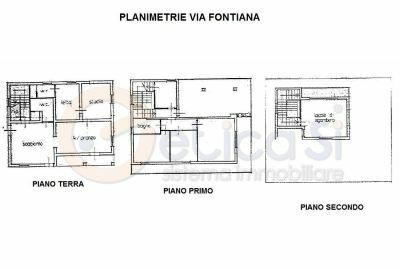 CASTELLATO - We offer for sale an independent villa of about 200 square meters inside, easily divisible into two independent apartments. 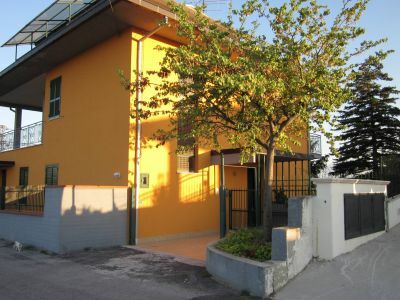 Area Castellalto (Teramo), with splendid sea views and the Gran Sasso chain, within easy reach. On the ground floor there is a double living room with an open kitchen, a double bedroom, a small bedroom, 2 bathrooms, a storage room and a garden of about 250 square meters, on the first floor there are 3 double bedrooms, a bathroom and a large panoramic terrace. and on the second floor an attic of about 30 square meters with a balcony. The property includes a garage of about 40 square meters and a cellar of 35 square meters. Possibility to buy also an annexed agricultural area of 2,500 square meters with orchard and olive grove.